Next year, four new historical hiking trails will provide you with equal parts exercise and knowledge about Norwegian culture history. 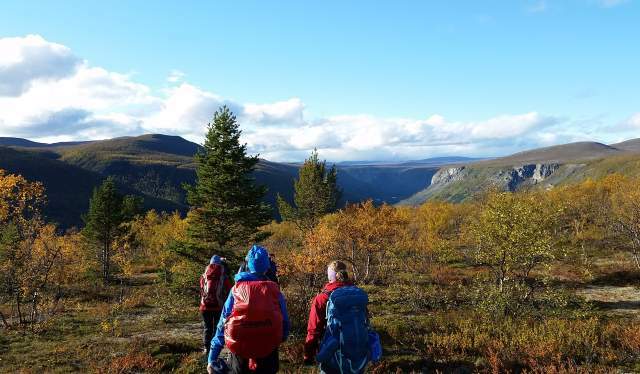 Historiske Vandreruter – Historical Trails – is a collaborative project between The Norwegian Tourist Board (DNT) and The Directorate for Cultural Heritage. Their goal is to make old transport routes and trails better known and more used, providing information for inquisitive wanderers along the way. There are already seven official historical trails in Norway. Brudleruta in Josdalsheia, for instance, allows you to follow in the footsteps of the bridal marches in the old days, while Flyktningeruta (the Refugee trail) traces the escape route from Oslo to Sweden used during the Second World War. In 2018, four new trails combining stunning nature and cultural knowledge will be launched – from Reisadalen in the North of Norway to Gamle Hadelandsvei in Lillomarka just outside of Oslo. "The walking experience is enriched by discovering hidden treasures and riveting stories along the way. Many hikers mistakenly believe they’re wandering through untouched nature in the woods and the mountains, but the truth is that you’ll find traces of early transportation and other cultural heritage all over Norway. Even 2000 metres high." That fact has traditionally been lost on quite a few hikers, she says. "Often people pass through culturally significant landscapes without knowing it. The historical trails could enhance hikers’ awareness of what cultural heritage is, and that way make sure none of it is ruined unwittingly – for instance by removing rocks from old hunting grounds or burial mounds to make a fireplace." 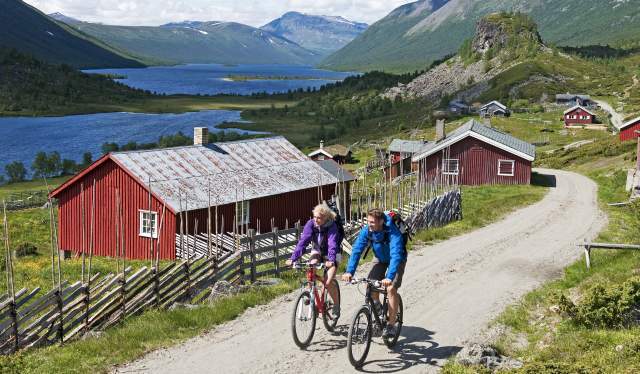 The northernmost of the new trails is Reisadalen, located in Troms county, which has been used for harvesting, gathering, hunting and fishing by the Kven, Norwegian and Sami population. The area is particularly abundant with Kven heritage, according to Brunborg-Næss. "There are many traces of tar kilns – tar extraction plants from the 1700s, 1800s and 1900s. The nature is spectacular, and the valley is teeming with animals and birds." "The trail also connects the Finnmark plateau, Finnmarksvidda, with the coast. If you keep heading eastwards you’ll arrive in Kautokeino. Both DNT and Norske Skog have cabins along the route, and several private operators offer riverboat rides." Stølsruta will be established as route from farmyard to farmyard, from Vestre Slidre northwards to Vang in Valdres. Along the way, wanderers will experience genuine farm life, with grazing animals, accommodation and traditional food. "What’s unique about this landscape is the combination of nature and culture, with hundreds of years of human impact. Today, Valdres is Northern Europe’s largest area when it comes to inter-connected, active pastures. It also has a unique biological diversity and home to a vast number of nesting wetland birds." Gamle Hadelandsvei is an old transportation route from Bjørvika in Oslo to Hadeland, passing through Lillomarka. The trail has probably been used from the first settlements in the area and up until the 19th century, but in recent times, it has been forgotten by most. The path will be cleared and marked, with its history presented to visitors. Along the trail there are a lot of formerly unknown archeological heritage sites. 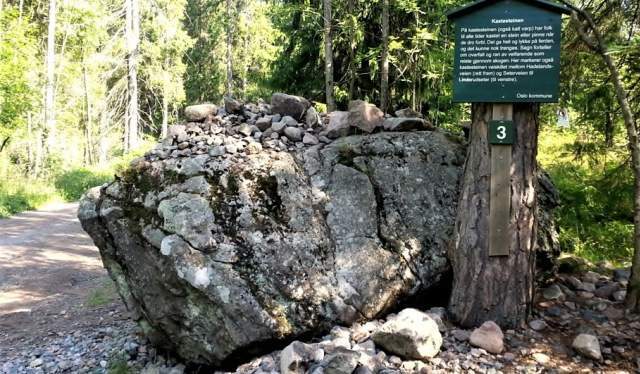 "It’ll be exciting to rediscover this ancient road through Nordmarka. I think many hikers will be surprised to see the amount of historical sites located along this route." An area already dear to many Norwegians is the mountains of Jotunheimen. This hiking classic marks the 150th anniversary of DNT and traces some of the first trails marked by the organization in the 1800s. 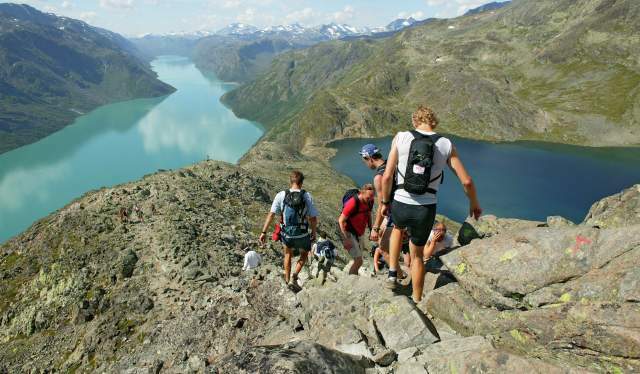 Through five days of walking, Jotunheimen provides wanderers with the prime of what the Norwegian mountains has to offer – national monuments Besseggen and Bukkelægeret included. "Along the walk you follow in the footsteps of mountain pioneers and legends like Peer Gynt, Jo Gjende, Gjendine Slålien and of course Jotunheimen’s “father” and DNT founder Aasmund Olavsson Vinje. Most legs of the trip can be substituted with transport by boat in Gjende and Bygdin," says Brunborg-Næss.